Total Landscape Care named Dustin Hanson, owner of Hanson Landscape in Big Rock, Illinois, a 2014 Landscaper of the Year finalist. Presented by Case Construction Equipment, this annual program recognizes the 12 best landscapers from across the country. The finalists and their guests enjoyed an all-expense-paid cruise to the Bahamas Nov. 15-18, and each landscaper will be featured in an issue of Total Landscape Care magazine in 2014. 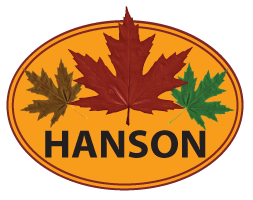 Hanson’s projects range from design/build and maintenance to irrigation and erosion control. With his two partners, Brandon Hanson and Ryan Kovarik, Hanson has created what he calls “The Perfect Storm.” The company has grown to have landscaping, construction, property management and biohazard divisions. Beyond the daily grind, Hanson Landscape invests time and commitment to its community and hosts fundraisers, like one they did this year for the SWAT team. The finalists are selected for their impressive portfolios, business techniques, community involvement, safety records and for what sets them apart from others in the industry. Total Landscape Care brings professional landscapers the news and information they need to run successful businesses through monthly magazines, daily newsletters, web articles, social media and videos. For more information, visit totallandscapecare.com. To apply to be Landscaper of the Year, visit totallandscapecare.com/loy.